E + R = O. Event + Response = Outcome. You can’t control the things/events that happen in your life, but you can control your response to those events. Your response will determine the outcome. To me, it does not mean having a crystal clear picture of what exactly is going to happen in your life because that isn’t possible. Life has a funny way of throwing a lot of curve balls at you. Clarity is knowing where you want to go or what you want to achieve and having true and unwavering confidence that no matter what curve balls are thrown at you, the path you’re on and the plan you’ve made will be able to deal with them. Matt is the lead advisor and partner of Clarity Wealth Management. He began his financial planning career with Wachovia Securities Financial Network while attending The Ohio State University and since then has had over 11 years of experience working with corporate executives, young professionals, and business owners who are looking to maximize the value of their financial resources and find clear paths for their financial future. 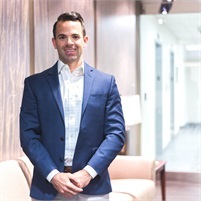 He works in a driven and collaborative manner to ensure that his clients have a guide for their journey who is there to ensure no financial planning gaps exist and no opportunities are over looked. When he is not focused on work, his greatest joys include spending time with his wife Abby, two twins: Henry and Kinsley, and dog, Eddie. Along with that, he is an active participant of CrossFit and serves as a member of the Rising Professionals Network at DePaul Cristo Rey Catholic High School where his wife works in Development and Fundraising. A native Cincinnatian and graduate of Moeller High School, Matt takes extreme pride in this city and the people that he works with every day.